Gabriela Sabau was born in Romania and emigrated to Canada in 2002. She holds a BA and a PhD in Economics from the Academy of Economic Studies in Bucharest, Romania. 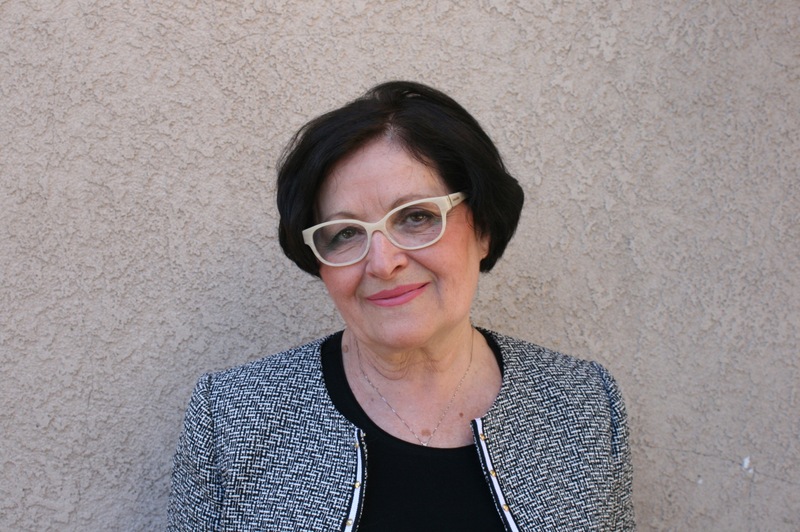 Before coming to Canada, Gabriela was an Assistant Professor of Economics at the Academy of Economic Studies in Bucharest and a member of an interdisciplinary research network for sustainable reconstruction of Romania. Since 2003, she teaches at Memorial University of Newfoundland, Grenfell Campus, where she is currently an Associate Professor of Economics and Environmental Studies and Chair of the Environmental Studies program. Since 2008, Gabriela has also been a Visiting Professor at University Center of the Westfjords in Iceland, where she teaches a Master’s course in Economics and Policies of Coastal and Marine Areas. In 2013, she was awarded the Grenfell Campus Teaching Award. Since 2012, Gabriela is a member of the international research network “Too Big to Ignore”, dedicated to global revival of small-scale fisheries. Gabriela has two grown-up sons and two grandsons. She currently lives in Corner Brook, Newfoundland. Gabriela teaches both undergraduate and graduate courses in Economics, Environmental Economics, Ecological Economics, Economics and Policies of Coastal and Marine Areas. She also advises Master and PhD level students in Canada and in Iceland. Gabriela’s research interests are sustainability; sustainable development, fueled by scientific knowledge and value judgements; unjust un-economic growth; demand-side management of water resources; and sustainable management of fisheries, with a focus on small-scale fisheries. Her latest publication Fish Trade Liberalization under 21st Century Trade Agreements: The CETA and Newfoundland and Labrador Fish and Seafood Industry is in print at Ecological Economics. She is currently working on an invited essay for “The Future of Ocean Governance and Training”, a book to honor the spirit of Elisabeth Mann Borgese, the founder of the International Ocean Institute of the Dalhousie University. She is also writing a paper about the Science of Global Sustainability. Its Role in Governance for Prosperity, to be presented in October at the Canadian Society for Ecological Economics conference at Concordia University, Montreal. Both my essay for the Future of Ocean Governance and Training and my paper on the Science of Global Sustainability discuss the importance of scale for implementing ecological, economic, social and cultural sustainability, not only as objective targets but also as normative goals. References to small-scale fisheries are included in both. As a co-investigator, I contribute, under the guidance of Dr. Ratana Chuenpagdee, to module 1, Informing governance responses in a changing ocean of the OFI (Ocean Frontier Institute) research project Safe and sustainable development of the ocean. We plan to develop sustainability indicators to evaluate effectiveness of policy responses in reducing vulnerabilities and in enhancing the viability of fisheries and coastal communities. Incorporating social issues specific to small-scale fisheries (gender equality, quality of life for fishery workers, transparency and participation in decision–making, fair competition in accessing resources) into fisheries management policies, by using “hard” law/regulations: recognition of small-scale fisheries within Fisheries Acts, reform of quota allocation systems to include criteria of low-impact environmental, social and economic nature, etc. Education and training of small-scale fishers, aiming at targeted community capacity building (resilience) and long-term sustainability.